Glam it up this weekend & colorblock your nails with Sally Hansen's vibrate nail colors! 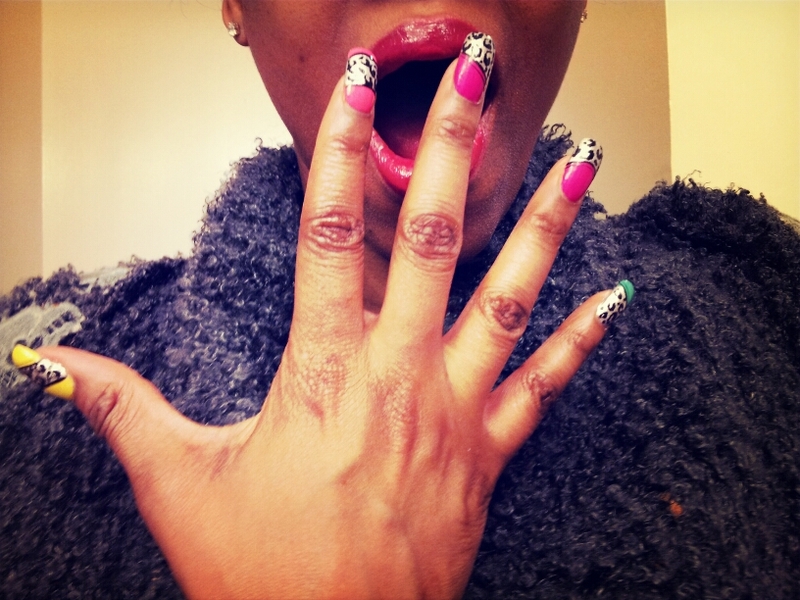 I absolutely love my nails I chose mellow yellow (360), peachy breeze (325), mint sprint (440), flashy fushia (220) & celeb city (220) and Sally Hansen's double duty strengthening base and top coat for my color scheme and added cheetah prints to give it a more party girl look! My left hand each nail has it's own design for the colorblocking scheme. Each nail has its own design. To get the look, start off by painting the base of your nails with clear polish. Choose a color for each nail and paint each individual nail color in various directions to give each nail a different look. You can paint them diagonally, vertically, parallel, round but leave space to paint the silver (Celeb City) and cheetah print for last. Separate the colors by free hand or use a cut out piece of paper or cloth. Check out the design of my left hand. You can use a cloth or paper to separate the colors. 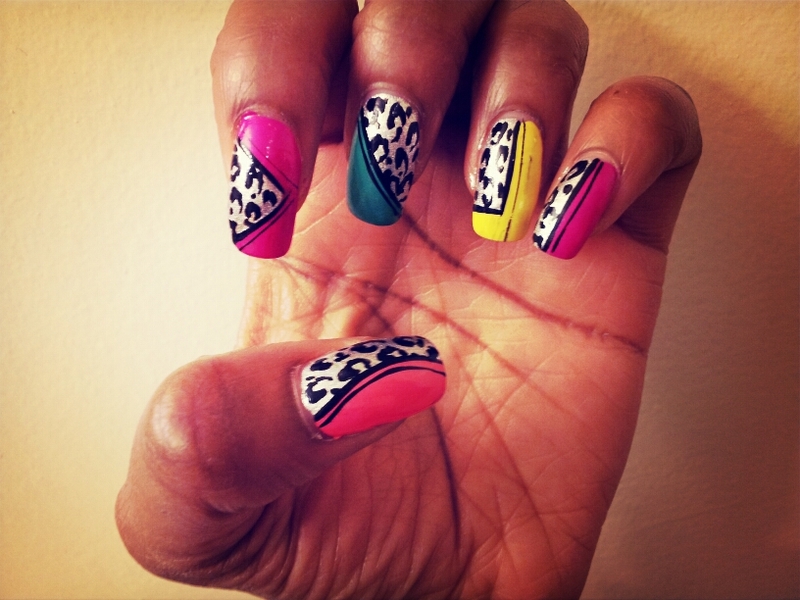 To create the cheetah print and lines on your own use Sally Hansen's nail art pen. 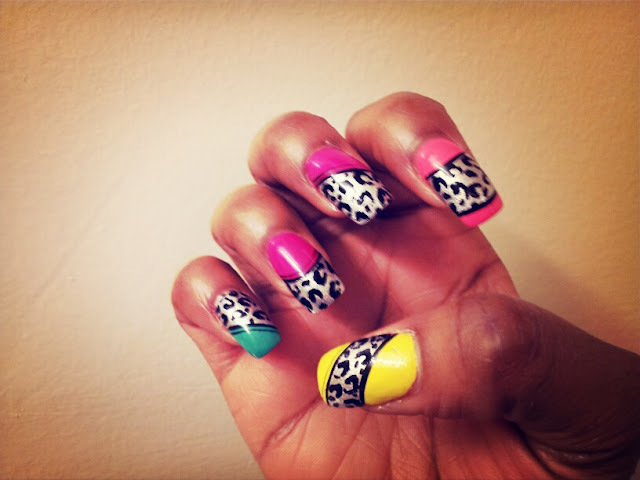 Top each nail with top coat to protect your art work and dry for 30 minutes. You don't want to mess your nails up after all that hard work. I loved choosing fun, bright & vibrate spring colors to match my outfits! 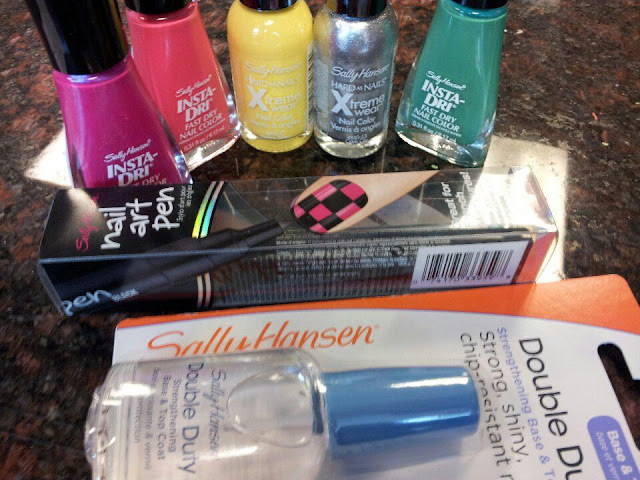 Join the fun and enter the Sally Hansen's April colorblocking contest going on now! Click Read More for details! 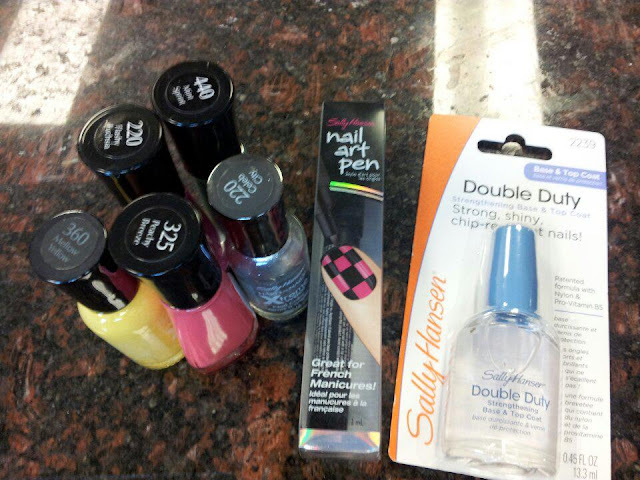 Compensation was provided by Sally Hansen via Glam Media. The opinions expressed herein are those of the author and are not indicative of the opinions or positions of Sally Hansen.